We are really in the middle of preparing for the Christmas season. I like to get as many things ready ahead of time as possible so that I can enjoy time with family and friends and not be stressed. 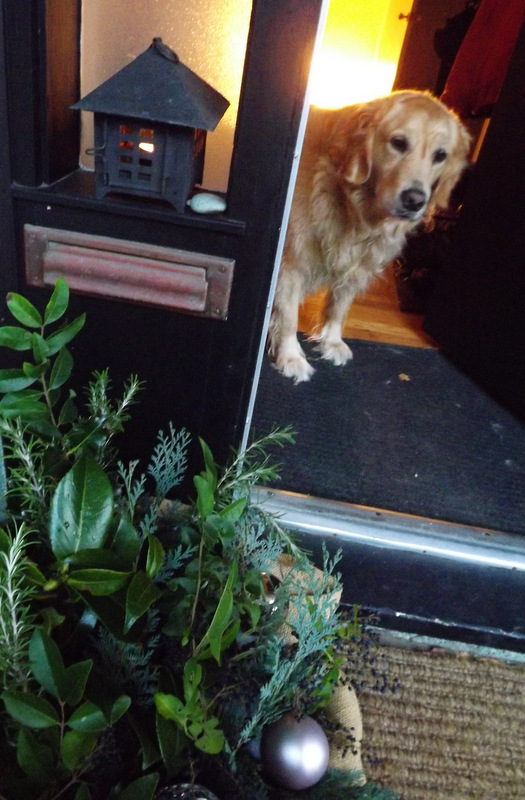 Here we are (my buddy- who is always with me) preparing our welcome to visitors at the front door. In this galvanized bucket (that I use for ice and drinks in the summer months), I placed some burlap ( which I’ve used outside for at least 5 winters and it’s still holding up). I put in pots with potting soil and then found twigs from around the garden. I am hoping to come across some other greenery that has fallen to the ground after a wind storm, but until then – here it is. I have attached each of these glass balls to a used chop still and secured it into the arrangement. I think it adds a little subtle sparkle. I’ve also added a few sprigs of rosemary and lavender- and interestingly my first visitor remarked on the scent before the arrangement. Oh! 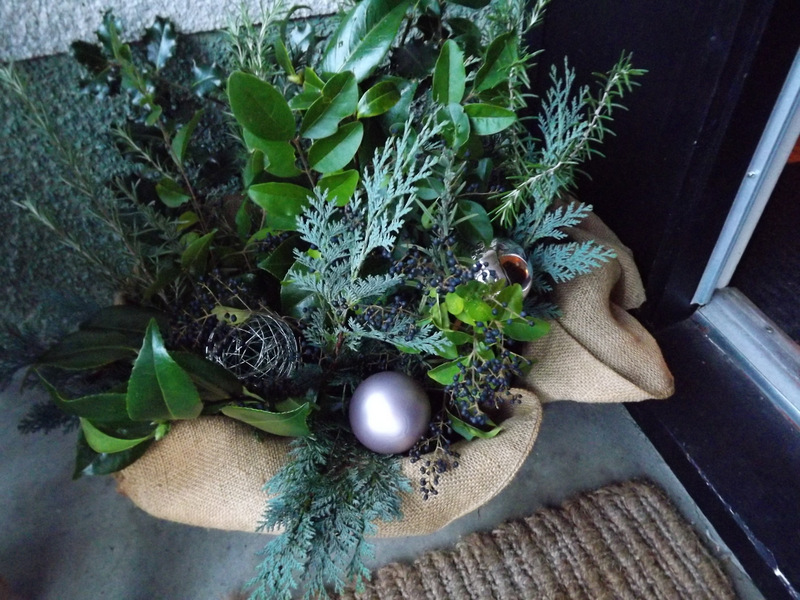 I like the effect of the burlap….it contrasts really nicely with the sparkle!